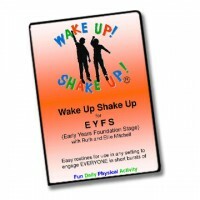 The collection provides you with the entire WUSU series to date, catering for all abilities from EYFS to KS2/3. 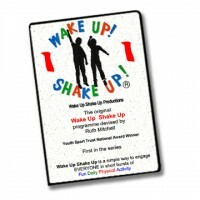 The collection includes Wake Up Shake Up 1-4 which provides a progressive set of resources, introducing partner and group work, adding a little more challenge into the routines as you move through the series. 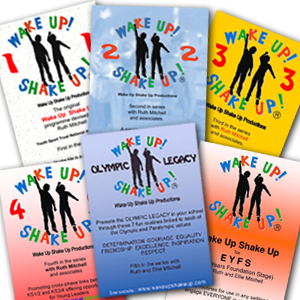 It also includes two stand alone resources; one designed for EYFS (as well as 6/7 year olds) and an Olympic Legacy inspired pack with some more complex routines to extend your pupils as necessary. Each of the 6 packs contain Activity DVDs; teaching the routines in a learning phase as well as a performance track, and also a Music CD Plus which has the written instructions of each routine to help you. For licensed track lists of each resource please browse through our individual product descriptions.